4 Apps for Learning Music in a Fun and Engaging Way! Have you ever felt discouraged because your budget is tight between the groceries, the house bills, and the kids’ lessons but you want to provide more opportunities for your children to learn music? Well, there are ways to fulfill this desire without spending a large sum on learning tools! Your needs and desires for you and your children can all be met at the same time with some great, free music apps! Rhythm Cat is a fun game that helps beginners of all ages get beyond the discouragement that can come with reading rhythms! Your child can learn groove, rhythm, and keeping time all at once with this app! It has “cool cat” background music to play the rhythm to! The app will do a count off and then the player must tap the rhythm to the beat of the music. Music Minds Flashcards is an interactive learning app with flash cards to help your child recognize musical symbols and terminology. There are over 100 Flashcards that cover 6 different areas of music! You can practice the flash cards to learn music theory and test your knowledge at the in-app arcade! Dust Buster 2 is a delightful keyboard app that is similar to Rock Band but instead of working hard to play the instrument at the right time, the player must work hard to help a cute, little old lady move across the keyboard to dust away the dust-bugs that try to land on the keys! Your child can learn about music and cleaning at the same time! Tiny Piano is a keyboard app for Apple products with popular songs. While not ALL the songs are free, there are plenty that are available to use! The notes do not go on without being pressed, so your child can learn a song for free at the piano by transferring the notes on the screen to the keys on the piano! Toca Band is a highly entertaining app where your child can learn about orchestration in a goofy way! You can play with sounds and create your own band. Sketch-a-Song is for those artists in the family; you get to compose in color! Your child can learn instrument sounds as he or she chooses instruments to place and learn more about rhythm, harmony, and blending. Amazing Pet Piano is for the animal lovers in your family. This is a keyboard app that will bark or meow a tune for you! Meow! Music is an essential piece of early childhood development. So, as you seek to prepare your child for kindergarten prepare them for lessons at the same time! Studies have shown that toddlers who participate in active music play classes with their guardian are able to function more holistically. 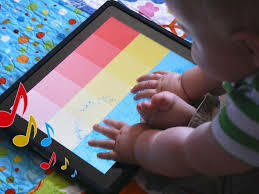 You see, toddlers are at a stage of development in which their cognition is multidimensional; “group music experiences for toddlers [are] a highly effective way to offer…multidimensional sensory opportunities by combining auditory, visual, and tactile stimuli” (Standley). In other words, moving to the rhythm of music, tinkering on instruments, listening to songs of all styles, and watching other toddlers and adults interact with the music – including you as the guardian – help them learn social and musical skills at an early age! Your toddler’s musical, interpersonal, and individual growth is determined by your investment as a parent because at this age, children are still extremely dependent on their guardian. Therefore, parent involvement and enthusiasm for music is an essential piece of both the group music class experience and the home experience. 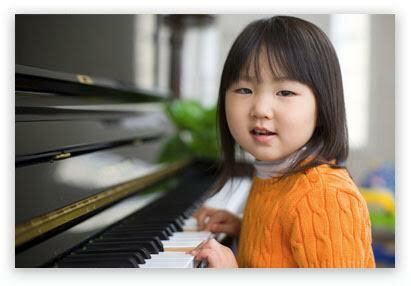 If you or an acquaintance is musically inclined, have them sing or play music for your child. Make it a joyful experience of sharing fun sounds in the living room. Your toddler will be wowed by the warmth of a singing voice, delighted the brightness of the piano, and entranced by the vibrato of the violin. If you initiate these rich, musical experiences for your toddler, not only will you look back on those precious times fondly, but you will create a invaluable, holistic learning and growth opportunities for your child. Below are some practical applications of the information you have just read about! Musical tools for toddlers offers some information and ideas for things they will be beneficial to know at their music lessons: their alphabet, how to count, and left from right. 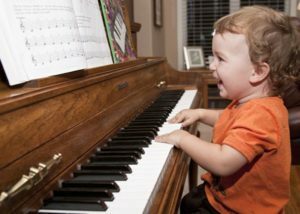 The section, things to do with toddlers suggests some ways in which you can help your child thrive in his or her first private music lessons! Happy music making! *Letters of Alphabet – Learning the alphabet will make recognizing the 7 notes (A, B, C, D, E, F, & G) of music much easier! *Counting – Try counting to 10 (or higher) with steady rhythms, walking, clapping, etc. If you have a metronome, have them count as high as they can with the metronome! *Music Play Class – Sign up you and your toddler for music classes here at Northwest School of Music! *Musical Games at Home – Have some small instruments handy for your child to bang on OR play musical chairs with your child and his/her friends! *Swaying & Dancing – Sway and dance with your child to various styles of music. This will create positive associations with music and help your child to have a natural sense of rhythm! *Identification Games – Teach your child to identify the images and sounds of instruments! They’ll love the challenge! While practice in an integral part of the music learning process, it can often times be a thorn in the side of the student. There are many different things that prevent students from practicing. Identifying a few of them can help you as a parent to address these practice obstacles, and lead your child to years of happy practicing and growth as a musician. ask at hand. In the later portion of the day, children are over stimulated from the long school day which makes it hard for them to concentrate. Make sure your child has a quiet and peaceful area dedicated to practice away from distractions such as television, video games, and younger siblings. 2.Lack of enjoyment in the music they are playing is another big factor that can make children lose their vest for practice. Listening to differen t types of music with your child can help them cultivate their own individual musical taste, which will help them have a more well rounded idea of the type of music that they want to play. When their teacher asks for the occasional suggestion of what they might want to learn next, your child will be more engaged and be ready with a selection they are excited to learn! 3.Not having the mental energy to practice is also sometimes a predicament when it comes time to practice. School work and homework is often prioritized over music practice which is understandable, but by the time young children are done with this taxing work their brains cannot handle much practice time if any at all. This is when meltdowns at the piano can occur. Creating a separate time for school work and music practice, with clearly divided breaks in between gives the young attention span the time it needs to recover and rest in between activities. 4.Sometimes the current methods of practice just aren’t working! If you find that your child is losing interest in practice or struggling it might be time to try something completely different. 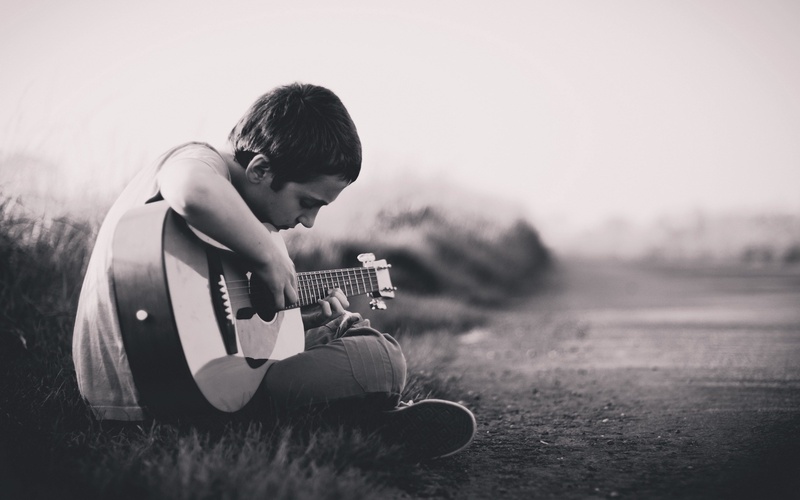 Children often times try to practice a song straight through to from beginning to end and then become bored or frustrated with their practice. Breaking up songs into smaller pieces and practicing those pieces out of order will help your child focus on getting the notes correct. Once they have this down they can add the pieces back together and the song they are working for will be much improved. 5.Lack of structure is another common problem that distracts children and keeps them from having productive practice sessions. Telling your child “okay, it’s time to practice now” is often not enough instruction or structure for the young beginner. Creating a structured practice time, that still feels fun will help your child know exactly what to do, and how long to do it for. Devote the first block of time to warming up, the next to working on isolated difficult passages, and the third block of time to playing songs all the way through. Breaking up the time will help your child maintain focus and stave off boredom during practice. By knowing exactly what to do, instead of having free form practice time they will also be able to guide themselves through practice before you know it! In this way our students also develop a sense of self discipline. Music can be very relaxing and help with brain development. Encouraging your child to find their inner zen while practicing may take a little effort, but the outcome is well worth it! Northwest School of Music is proud to honor flutist Nick Williams as our Student of the Month! Nick is an energetic and curious student who is always interested to know how and why things work. Mrs. Perkins instructs Nick on the flute, and says he’s quite fun to teach. Nick has been ripping through the songs lately, and is especially playing folk music. His favorite song is currently “Lo Yisa Goy”(a Hebrew folk song), because he “really likes the tune, and it’s not too complicated.” Nick is now studying “Andantino” and “Humming Song,” both by Robert Schumann. 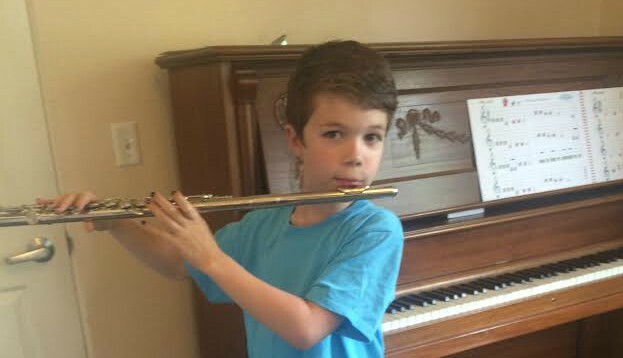 Nick has been learning many new skills on his flute lately, including mastering the key of D Major, playing slurred notes, the timing of 8th notes, and even trying his hand at staccato. He’s been taking it all in stride and has enjoyed how these skills are helping him become a more dynamic flutist. Aside from playing the flute, Nick also enjoys spending his time playing soccer, video games, and board games with his friends and family. Sounds like a skill that could really come in handy sometime! All in all, Nick is a wonderful student and so much fun to work with. We look forward to seeing where he takes his flute skills to as he grows. When we spoke with Emma-Claire about her love of piano she had lots of great things to say. She told us that she has been playing the piano for about four and a half months, and that she enjoys it because it makes her feel “happy and glad”. Emma’s favorite song that she is working on right now is the Star Wars theme, she is a huge Star Wars fan! Emma-Claire said that “I like everything about playing the piano. I like the music that I am playing. I like playing for others. My favorite thing about playing for others is that I never make mistakes.” She likes to play music that she knows because “I don’t have to make it up in my brain.” Her favorite subject in school is Music. When Emma-Claire grows up she wants to be a veterinarian. Emma-Claire was also one of a small group of students to successfully complete our 30 Days of Practice Challenge in May. Congratulations Emma-Claire on all your hard work and practicing! Music students often times spend practice hours glued to the sheet music in front of them. They spend hours trying to identify notes, patterns, and incorporate dynamics to build the beginnings of their own musical language. While building these fundamentals is a necessary part of the musical learning process, it’s often accompanied by frustration and boredom. In fact, students often times miss the larger point of making music; music stirs our fundamental human emotions and inspires the best in us. The effect music has on our students is seen throughout our daily lives: when our students are glued to their favorite Disney movie, or hear the Beatles for the first time. Hours spent practicing can easily be divorced from this natural musical enjoyment. A way that we find a good connection between these concepts is by encouraging our students to write silly songs. In this way, our students not only make their practice time enjoyable, but we help them develop a multitude of skills to become a well rounded musician. I put emphasis on silly songs because there is a stigma of seriousness surrounding learning and playing music. Our students strive to get every note perfect on the page, and feel embarrassed when they play a wrong note or forget a bar during a recital. This is not the point of learning to play music. Rather, it takes away from natural enjoyment for students. By encouraging a sense of non-formality in addition to songwriting, students are not inhibited by this stigma and are free to produce music in a fun manner. To further extend this idea of silly singing, encouraging your student to improvise a silly song off the top of their head is an easy way to produce music without feeling overly self conscious. The improvisational aspect provides that students have to think quickly without caring about the content of what they produce. Improvising a song can be done literally anywhere! Simply prompt your student (in the car, at breakfast, etc) to sing a song about a topic of their choice. This helps our students to be quick on their feet, and releases any inhibitions they might have about making mistakes or being embarrassed. Improvising silly songs allows them to enjoy music in a purely fun way. Encouraging students to create songs helps them to develop and relate a sense of original voice. The initial process of learning to just read and play sheet music develops a way to interpret songs from other composers. But when students start their own compositional processes, they start building a language of music that is highly personal and to their own liking. This starts with building their own melodic phrases, choosing their own harmonic progressions, and getting a feeling for what they like and dislike. When students create songs as well as practice songs from other composers, they begin to see connections between the enjoyment they derive from songwriting and how songs are written. 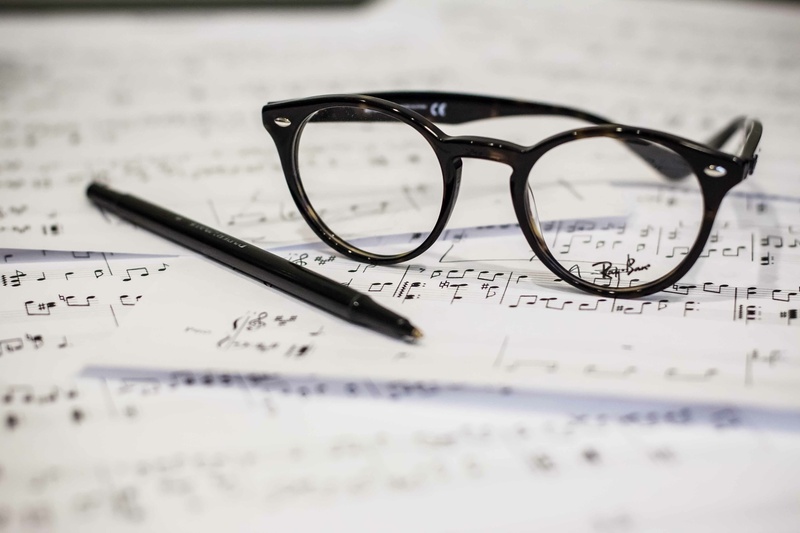 The interpretations they develop from sheet music being to stem with their relation to the composer’s perspective; students can empathize a composer’s musical choices. When students start doing this on a large scale, they often incorporate many elements of their favorite artists and composers. Writing silly songs takes time to develop. Some students are often shy to produce music in this manner. But soon you will find that your student starts finding a new found appreciation for music. Not only that, you may find you start to write silly songs yourself. 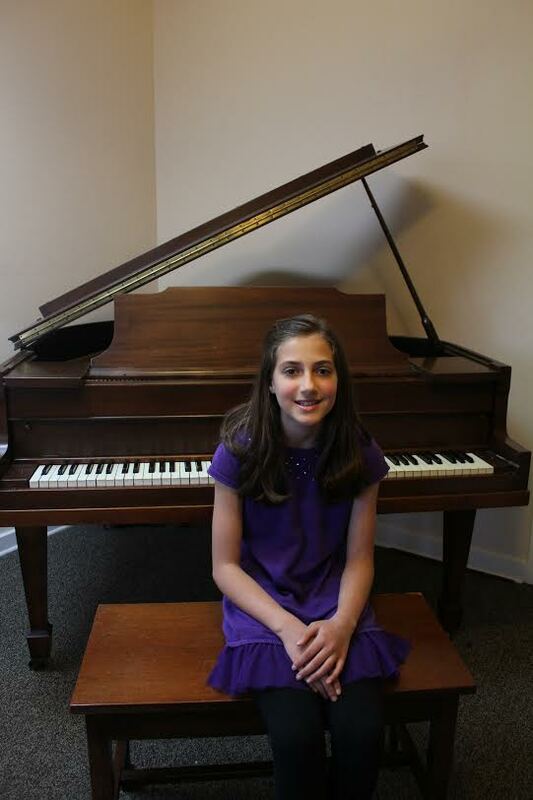 The May student of the month was selected by one of our piano instructors, Western-Li Summerton. He selected Lilly Anderson, age 11. 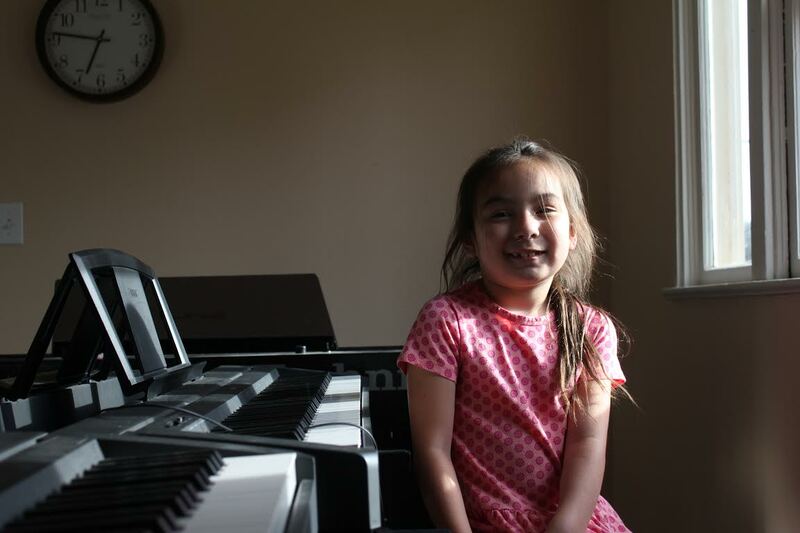 Lily has been playing the piano for seven months, she enjoys playing music because it makes her feel happy. One of the things that Lily said she really likes about playing the piano is that “it is a different way of expressing myself”. Right now Lily’s favorite song that she is learning is Rigoletto Aria. When we asked Lily what her favorite kind of music to play is she said “I like to play classical music because it is so nuanced!”. Lily doesn’t really have a favorite musician, she likes a large variety, but thinks Justin Bieber is good. Other than taking piano lessons at Northwest School of Music, Lily’s favorite activity is Girl Scouts. When she grows up she wants to be a 5th grade teacher. Her favorite subject in school is writing, specifically fiction. Right now she is reading Harry Potter. Great job on being May’s student of the month Lily! Ethnomusicology: a big fancy sounding word. Sounds interesting doesn’t it? But what does it really mean? And why does it even matter? Ethnomusicology is the study of music in cultures, and affects more than you might at first think. Many variables come into play even when discussing something as simple as who in society is considered a musician, how to correctly communicate or absorb music, or what type of music could describe a culture’s take on sound. There is even debate about which languages are allowed to be expressed in the music! Any of these simple topics can be broken down further and further and still create thought provoking and time consuming discussions. One fascinating aspect of Ethnomusicology is the study of music education in different cultures. The Apollonian and Dionysian concept is one of the larger theoretical debates with yet no answer to be found. The Apollonian perspective is very logical, articulate and mathematical. In contrast, with the Dionysian perspective everything is emotional, chaotic, and expressed through feelings. Here in the west we typically follow the Apollonian musical approach with our music theory, note reading, rules, and the idea that we must follow them all to give music justice. In Eastern cultures, they tend to follow a Dionysian approach. Relying heavily on intuition, feelings and sensations, with less worry over objective intellect. In Western cultures we are not entirely dismissing of the Dionysian view, but here we study music. In contrast to that, Eastern cultures “do” music; for all ages, for all people, with community involvement, usually learning by call and response, though not entirely dismissing of the Apollonian view either. There is no right way to enjoy music. There is no way to do music justice.The only real injustice one can do to music is to ignore it. The child banging on the drum set is just as musical as the pianist playing Rigoletto, though likely not as pleasant to listen. Apollonian and Dionysian concepts came from two greek Gods, Apollo and Dionysus. They were not opposites, but intertwined in nature, balancing thinking with feeling. You cannot have music without both, or everything will be either placid or chaotic, neither of which is preferable on it’s own. To truly make music, or to learn music, we must balance both ideals: our logic with our emotions. Ethnomusicology is an enriching subject, and idea that certainly could bring deep musings to your next conversation if you remember that it plays an intricate part in our culture, and in our study and learning of music. You can’t have music without both thinking and emotion. This is our first month of “Student of the Month” at Northwest School of Music. This month our violin teacher Ms.Brooke Jacobsen selected Soren Morales, age 8 as student of the month. Brooke selected Soren because he is so enthusiastic about the violin. 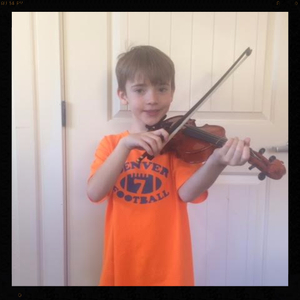 Soren has been progressing very quickly since he began taking lessons at Northwest School of Music in January. Brooke says “Soren always comes to his lessons prepared and ready to learn, with a great attitude”. Soren has been playing the violin for one and a half years. His favorite song that he is working on currently is called 2 by 2 from the book Essential Elements. “The strings and how they make the notes sound”, Soren said are his favorite things about playing the violin. When we asked Soren how playing music makes him feel he said, “Playing music makes me feel Happy”. Doesn’t his face show how much he loves it? Congratulations Soren! Have you ever just needed to focus at work and plugged into some of your personal jams to block out the other distracting noises? Or wanted to relax and turned the radio onto your favorite track to just take a moment? Have you ever sat down to unwind with your learned instrument of choice to play something calming to your soul? Or even the opposite, and you just needed to hype up, get your blood flowing, and get excited? If you have ever felt the need to experience any emotion whatsoever, be it tranquil or exuberant, music can help. But did you know it goes further than just our perception? A 2001 study at the University of Leicester found that when cows listened to calming music, their milk productivity went up by as much as 3%! 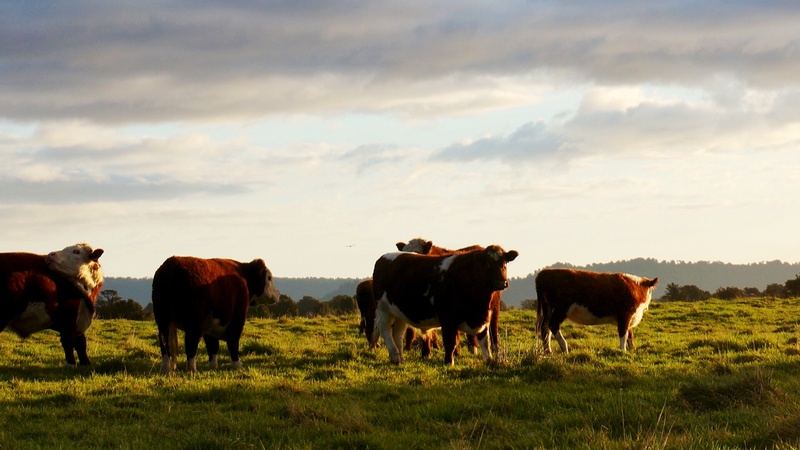 Research showed that apparently when the cows listened to slower music at less than 100 bpm (beats per minute) they hit some relaxing sweet spot that upped their physical productivity on the farm. While these finding seem wonderful for slower tunes, another study found that faster songs and different genres yielded the same result, that while simply listening to music, productivity grew in the bovine. But, according to Frannie Miller, a Texan milk farmer with a herd of 150 Jerseys, “our cows will tolerate some country and western, but they do not like Willie Nelson.” Suggesting that even a cow has musical preferences. Further research has positively shown that music practice has many physical and psychological benefits, ranging from memory, coordination, mathematics, verbal competence, language, creativity, emotional development, the list goes on. So why do we not plug in, or practice, during more times of the day? It seems inadmissible to be wasting quality “free” time not listening to, or practice music. So next time you have a moment, fill that with some Mozart, Selena Gomez, Frozen, Piano, Clarinet, Flute, or Banjo (just consider excluding Willie Nelson as a sign from the cows). Whether listening or playing, you will be rewarded.